Come enjoy Paradise the way it was meant to be experienced, in this 4 bedroom, 3.5 bath Luxury home in the new KaMilo development. 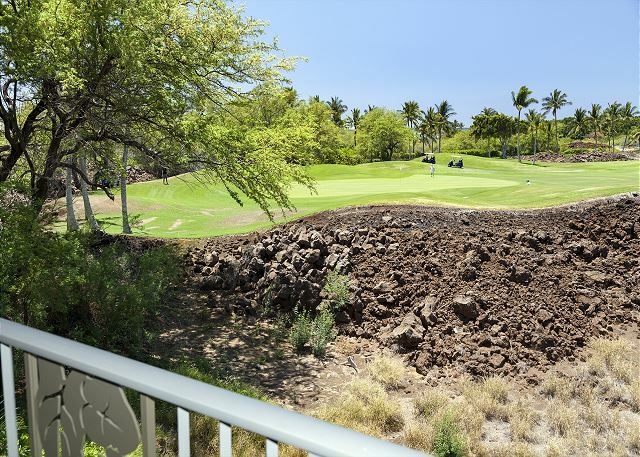 Nestled at the edge of the 11th green of the Francis H. I'i Brown North Course, this unit's stunning Golf Course and Ocean views await the discerning vacationer who desires more than just a place to sleep at night, but a place to call home. This home has gone through recent renovations. 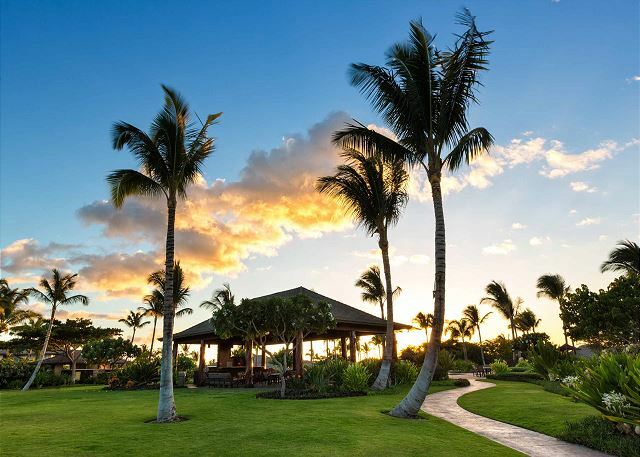 KaMilo 125 offers a true tropical island vacation experience, with nearly 3500 square feet of indoor and outdoor living space, a two car garage, spectacular views from mountain to ocean to golf course, and the best recreation amenities in the entire resort. Upon entering the home you immediately feel the stress and tension of your travels start to melt away as the inviting atmosphere draws you to the kitchen to prepare a tropical drink to kick off your vacation. 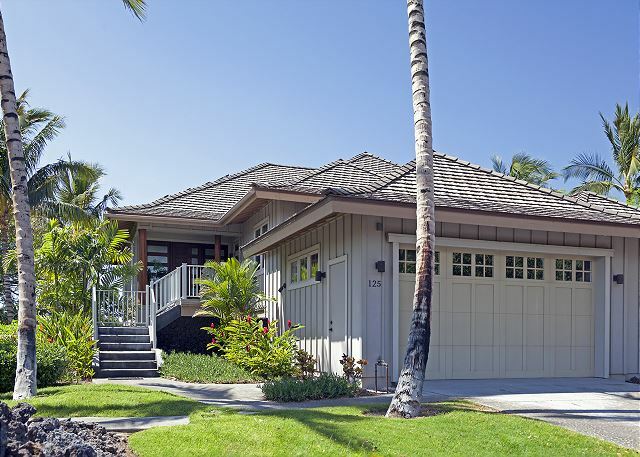 Fully open up the pocket doors leading to the main lanai and you realize what true indoor/outdoor living is all about, as you relax with your loved ones to watch the sun set over the horizon. A beautifully appointed kitchen that will please the chef in all of us is equipped with stainless steel appliances, granite countertops, vaulted ceiling with cove lighting, and hardwood cabinetry, while the adjoining living and dining areas are furnished in tropical island decor. The downstairs master bedroom features a king sized bed, and an en-suite bathroom with walk-in shower, soaking tub, double vanities, walk-in closet, and separate toilet. Two other bedrooms downstairs offer sleeping areas for 6, while the second master on the main level has another king bed, allowing a total of 10 people to stay in quiet comfort. 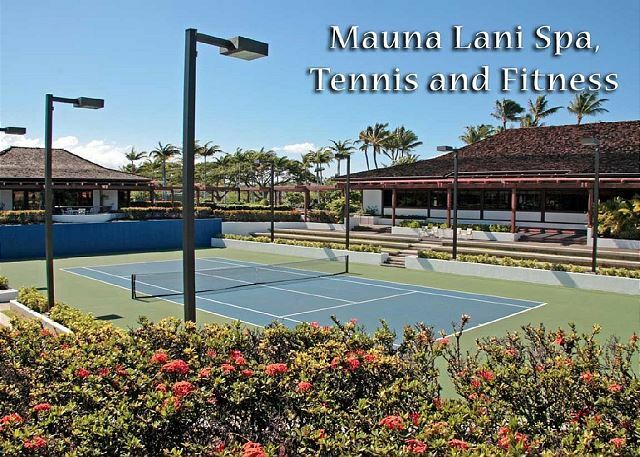 One of the best kept secrets of Mauna Lani Resort, the KaMilo/Kulalani Recreation Center is the largest in Mauna Lani, and boasts a lap pool, free-form resort style pool, kiddie wading pool, two Jacuzzi spas, workout room with free-weights and exercise machines, expansive lawns, and an immense gathering pavilion with Viking grill and outdoor kitchen for hosting parties or special events. 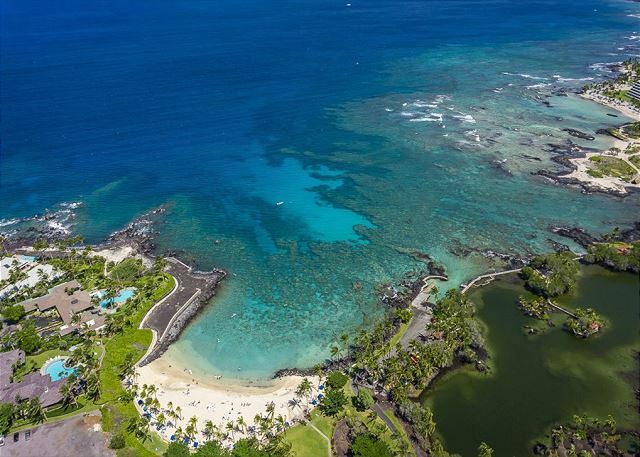 For those looking to get closer to the beach, the Mauna Lani Owner's Beach Club is a short drive down the street, and here you can enjoy swimming, snorkeling, stand-up paddling, and a whole variety of beach activities. For a more relaxing time, dozens of cabanas are available for guests of the resort, and a full-service restaurant is located mere steps from the beach, with a wonderful menu of food and tropical beverages to enjoy as you soak up the atmosphere. Love Kamilo neighborhood and facilities. Third time rental of Kamilo 125 and planning on 125 again next year. That said, 125 could use some updates to appliances, carpets etc. Appears to be a very heavily used rental with noticeable wear and tear. Love the gym and pools and this is a significant reason we return. This is our sixth year to stay here at Thanksgiving time and we greatly enjoy it. A great home for a family vacation. The back patio looks out to the golf course and sunsets. 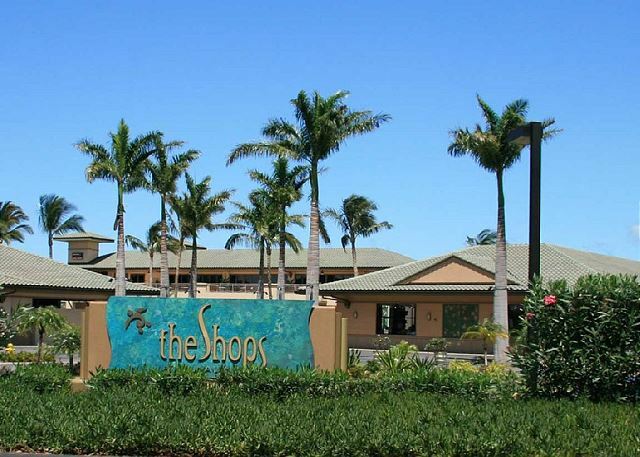 Very close to restaurants, shops and golf. Lots of items for the beach in the garage. 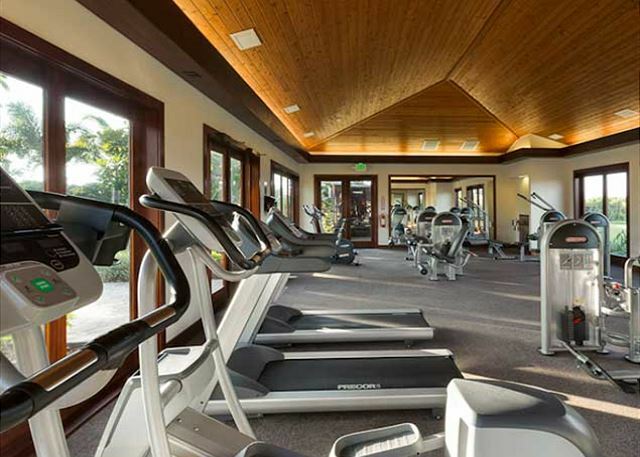 Nice pool area and work out facility just a short walk away. Would definitely book again! Management on site and very responsive to a few minor items we had. We had a family reunion and loved the house. It was well equipped with all the modern conveniences we can imagine. Location was in a quiet area with uncrowded pool/club nearby and within walking distance to the beach/Fairmont. Shig, the property manger, was easily accessible and helpful. We consider ourselves very discriminating in selecting higher end vacation rentals and were not at all disappointed. Came with a few buddies. This house was perfect with its 4 bedrooms. Two of the bedrooms had 2 beds in each so there is room for 6 people easily. Shig the property manager lives nearby and is always within reach if you have any questions or concerns. 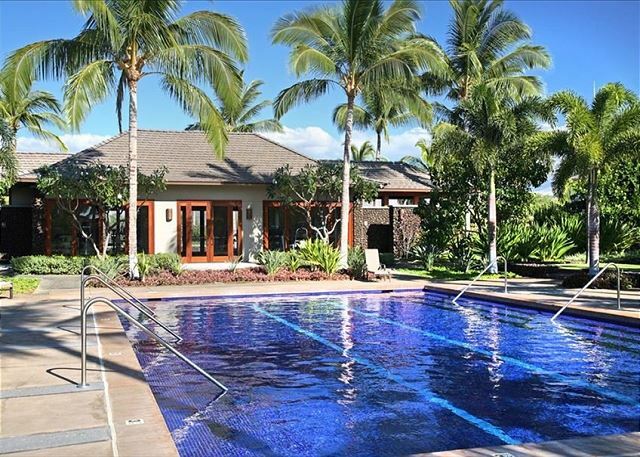 We will continue to rent this home when we come back on our golf trips to the Big Island. We had two families staying, our family of 5 from New Zealand and my wife's cousin and her family from Canada. We especially enjoyed the pool and fitness centre a short walk away, and the beach club a short drive away. Beautiful house! My family of 10 really enjoyed our stay. House was clean beautifully kept, and well equipped. Pool across the street was a plus for the kids. Will definitely be back. When we arrived at KaMilo 125 we were very happy that it was all that it was described to be plus some. The home is beautiful and very well maintained. The location was ideal for all that our family (4 adults 5 kiddos) could ask for. Met Shig and he was very accommodating. We would love to return again! 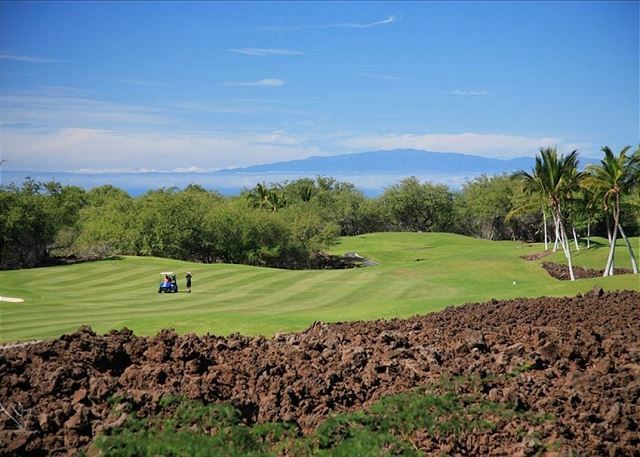 We would definitely recommend this property and location, short drive to anything you want to do on the big island. The house was clean, well maintained, and all around perfect for our group during our Hawaii stay. The view overlooking the golf course is nice and we will definitely be coming back. Great house location. Kamilo is a very nice neighborhood. Spacious condo with great view. Well maintained. Good response to minor problems. The layout of the home was perfect for our family...we were in the upstairs bedroom adjacent to to kitchen and family area and our children and grand children were downstairs in the 3 bedrooms...very relaxing for all! You do need a car to get to the private beach club associated with this unit. The community pool is very close to the unit and quite nice but we found the swimming pool to be a bit cold but for lap swimmers probably perfect. There is a peek view of the ocean but a nice view of the 11th green. We would definitely return! Having read reviews from guests we called the management to make sure this condo was ready for our visit. We were particularly concerned that the grill should be in working condition because we read a few negative comments from previous guests. We were assured the grill problem had been taken care of. 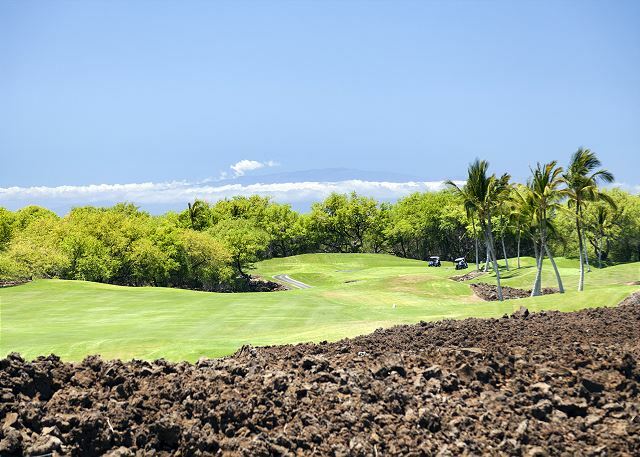 The property has many possitive aspects to it, bright with good view of the golf course, clean and it has all the amenities you need including beach toys for little kids, etc. We love the lanai but the interior furniture look a lot better in the pictures. As for the grill: HUGE disappointment. It was filthy, never been cleaned, and was not working. Shig came right away and tried to sort it out for us but we couldn't use it that day. He only managed to get someone to clean it. Next day the tradesmen came to repair but 'parts have to come from the mainland', they said, so they did their best. It was working but not optimal. The final straw was preparing NYE's dinner: the oven did not work. At 4 o'clock I had to call the management and Shig and his wife came to see what the problem was. Net net, it couldn't be fixed in time for us so we had to go to an empty condo accross the road, back and forth, trying to prepare 3 dishes using that oven. That was a major pain we could do without. We must mention that Shig was always ready to come and help, he gave lots of tips on things to do and we enjoyed his company. But when one is under pressure to get a special dinner ready and nothing could be fixed, it did not leave our experience here in a good note. Would we recommend this place to thers? Absolutely! Its location is prefect, quiet and peaceful, near the common pools and garden. Just make sure that if you are going to use the appliances, you must insist they be in working order before you arrive. It would also be great if the owner would improve the width band on the internet. We couldnt finish the movies we watched. Enjoyed the condo, but was disappointed that we were given the wrong info to unlock front door. Our KaMilo experience was excellent. The accommodations were very clean, the kitchen was well stocked ... including the best array of plates and glassware of any VRBO we have rented. Great Beach towels and toys for the kids to use at the beach. The Kamilo pool facility was quite resort like and not overcrowded at any time. Shig was most attentive to our needs and his professionalism was appreciated. 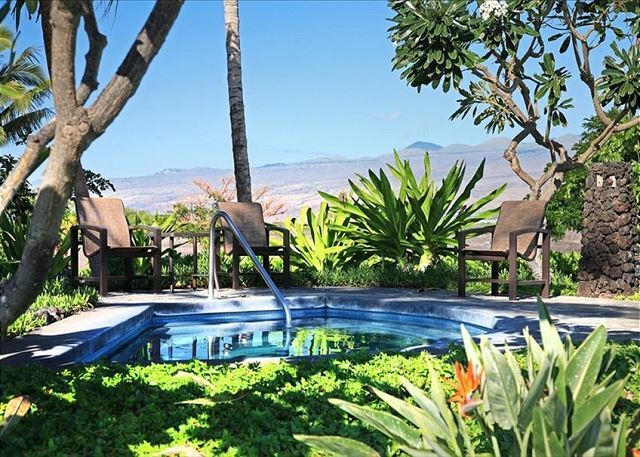 We have rented many places around the world including others on the Big Island and our stay at KaMilo was one of the best. Only criticism would be the outside Barbeque. It appears the builder did not vent the area well and one has to be careful not to get smoke in the house when cooking. Thanks for making our family getaway so special. Top front bedroom pillows were stained. Bedroom carpets needed cleaning. Barbeque was unuseable do to excessive smoke, grates need major cleaning. We rented two different VRBO homes at KaMilo, next to each other, for our family group of 13. No. 125 was perfect for one family of 6, plus the two of us. We had the upstairs master and they had some privacy all downstairs. The living area was large enough for the other family of 5 to come have meals with us. Shig and his wife were super helpful and nice to visit with. The pool/park area was beautiful; we thought we would use it more than we did. The family wanted to try out every close beach. We loved the "private" access beach best. This was our 2nd time staying at Kamilo 125. Lots of upgrades to fill out the kitchen, bathroom and beach supplies since our last stay which was 2 yrs ago. This is a gem of a rental. The main floor is so spacious and the view from the lanai is awesome. The kitchen is fully stocked. Pool is just right across the street. My husband enjoys the gym every morning. Very safe gated community. 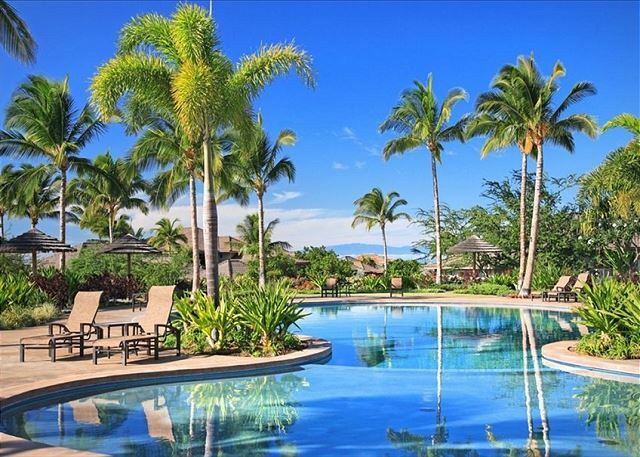 Short drive to the Mauna Lani Beach club for snorkeling and beautiful walks along the beach and fish pools. 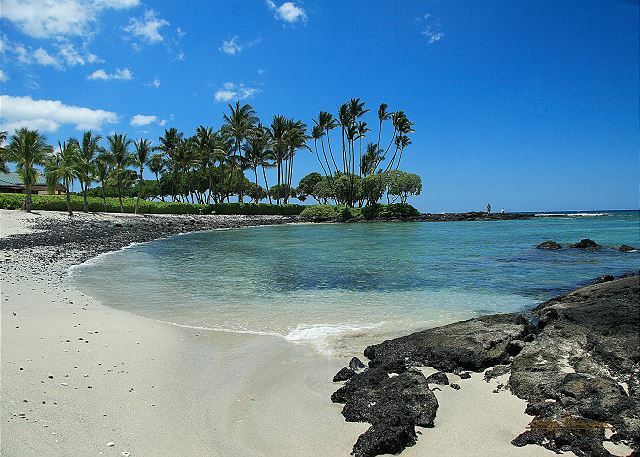 Or you can just walk to the beach on the north side of Mauna Lani. Both are lovely. Short drive to Hapuna Beach (best for boogie boarding). This is a beautiful, clean rental in a sweet spot on the island. Much better than being in Kona for so many reasons I can't begin to list. This is our third vacation in this lovely home. The property was clean and the pictures accurately represent the home. The minor issues that arose with the home were quickly addressed by the managers. Life Does Not Get Any Better! The house was perfect to accommodate our family for what was a magical vacation. The house is very comfortable..great for families or groups of friends. We cooked all of our dinners. I brought one pan with me but really did not need too as the kitchen was very well stocked. We will remember the week forever...thank you. Unit was nicely decorated, clean, and spacious. Camilo 125 is an amazing house and has all the amenities. Shig provided everything that we requested and he went above and beyond, including a baby sitter for our two grand children. We had wonderful experience when staying at the KaMilo 125 over New Year's. The house is really nice and in great shape. The amenities include access to the pools and hot tub, as well to private Beach Club. Great place to stay with extended family and kids. our family thoroughly enjoyed our stay at 125 Ka Milo over the Thanksgiving week. There were 6 adults and 4 girls ages 8 to 16. Everyone had their own bedrooms with very comfortable beds and nice bathrooms. All aspects of the home were perfect including a great kitchen, living room, dining room and beautiful lanai with built in gas bbq. The view was wonderful looking out at the golf course with trees and ocean in the distance. We researched many properties in this area and so glad we chose this one for celebrating 2 big birthdays and a 50 year anniversary. Also, access to the Mauna Lani Beach Club is really nice. We would definitely return to this lovely home. Excellent location, amenities. Perfect for our 8 guys golf trip. Very comfortable and plenty of room. 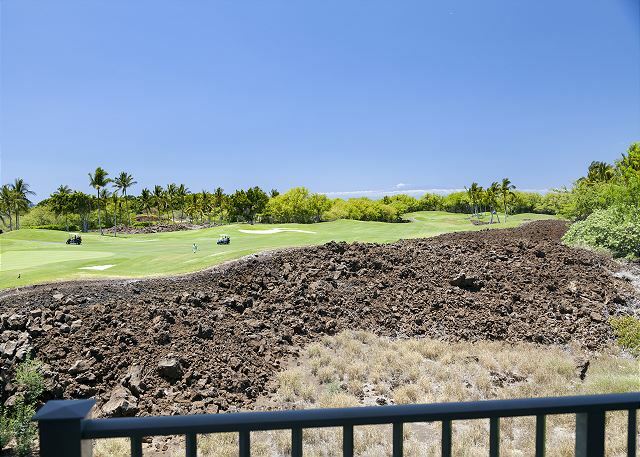 Near the entrance of the gated community with an extended covered lanai, outdoor BBQ grill and fridge with a view of the 11th green of Mauna Lani North Course. Two master suites. 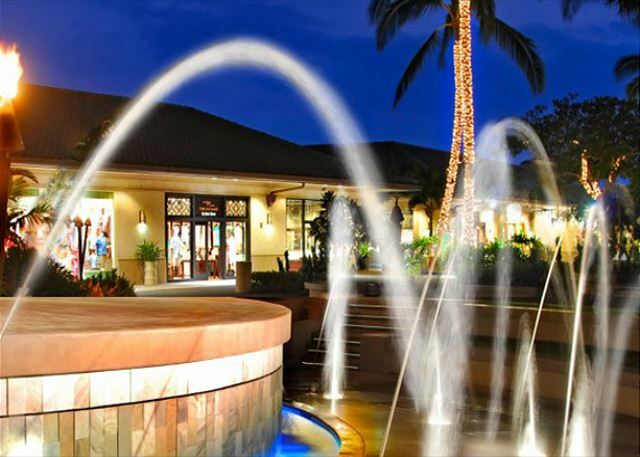 Grocery store and restaurants/shops located 5 minutes away. Why would anyone stay in a hotel when you can live in comfort in a place like this? Shig the Property Manager was great! Our stay at KaMilo 125 was awesome! The house was plenty large enough to accommodate 6 adults and 2 children. We never felt crowded. 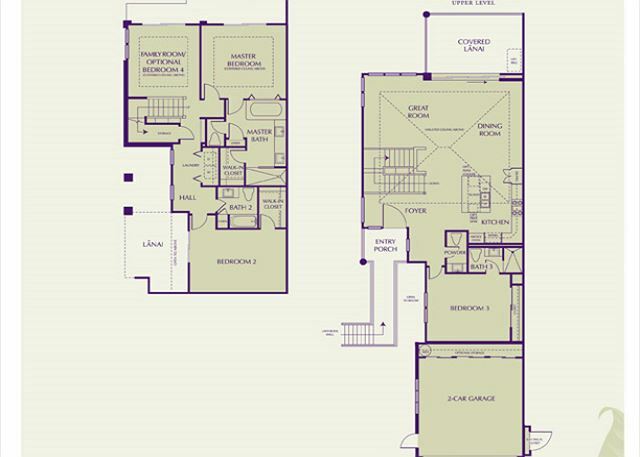 We loved the large, open living area, and the lanai is a bonus area! The view is fantastic, and it is great how close to the pool this home is! The Beach Club is the best! We really hope to return here again some time!! Shig is an amazing property manager, and very helpful!! Thanks for sharing your beautiful home with us!!! We were married on the island, blending our families - two boys and two girls - and spent 10 wonderful days in this condo. It couldn't have been more perfect. I recently stayed at KaMilo 125 with my husband, children and grandchildren to celebrate a birthday. It was perfect for our needs, giving us lots of space to spread out. We were nine people. The decor was very pleasant and everything was spotless upon our arrival. 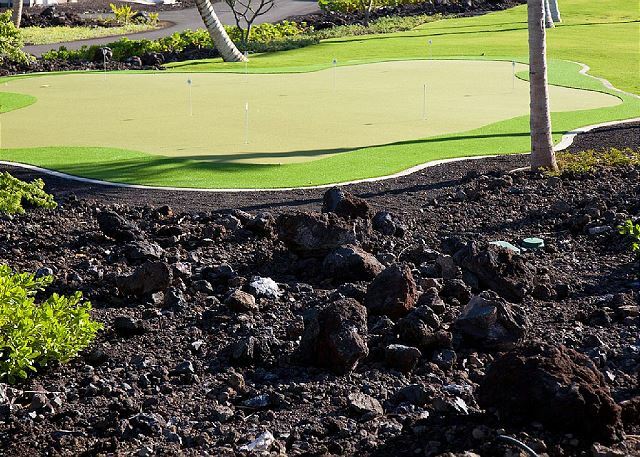 The view of the golf course was an added plus. 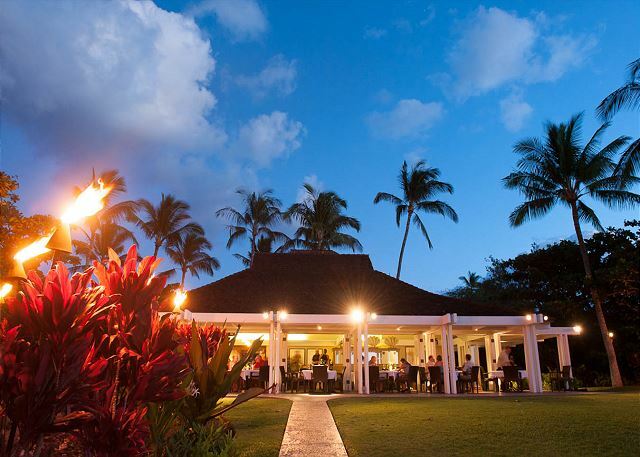 We especially enjoyed the use of the beach club, a five minute drive away, and had a wonderful birthday dinner at Napua, the restaurant at the club. The beautiful community pool was a very short walk from the house and the adjacent workout room was an added advantage for some members of the family. We found this property to be perfect for anyone wanting the space that a home gives you versus hotel rooms and who doesn't mind not being directly on a beach. very positive. The Shiwota's are very responsive and always dis their best to make sure our stay was enjoyed. Four guys rented for a week's golf. Very comfortable, well outfitted, store close, able to entertain 12. #125 fit our family needs well. Lots of room for multiple quests with common kitchen area. The lanai and BBQ area was large and comfortable. We had both daughters and their families stay with us over extended vacation (overlapping in the middle), and they thoroughly enjoyed themselves - first time on Big Island for all of them. The house was perfect for our needs - nice relaxing view on Lanai, and large enough kitchen to actually use. 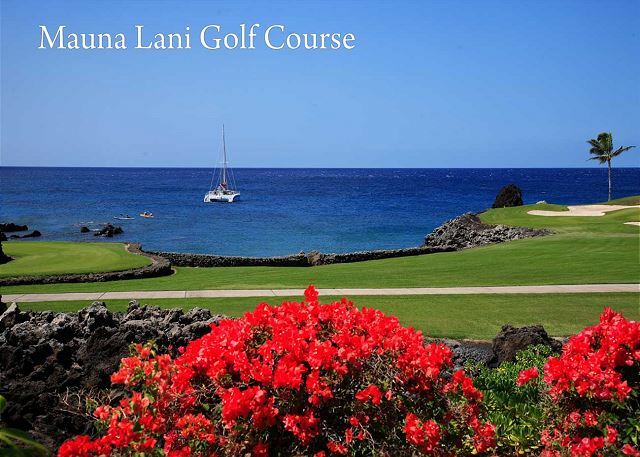 Biggest hit was the proximity to Mauna Lani Beach Club and how enjoyable that was for grandchildren. A few minor suggestions for manager - leave a bottle of anti-mold / mildew spray in showers - like all places in Hawaii, high humidity encourages molds. Would also like to have access to vacuum cleaner for this long a period. Shig very responsive to renters. Perfect place for a work retreat with all the comforts of home. We had a small team workshop and the unit was absolutely ideal. The inside and outside dining tables were perfect for discussions, working sessions, and meals. The spacious kitchen and outside grill made cooking and sharing meals a real pleasure. The unit easily accommodates 6 guests with a total of two beds (two rooms each have two beds). Everyone is already asking about our next workshop! I highly recommend this property and the Shiwota team for their excellent management.